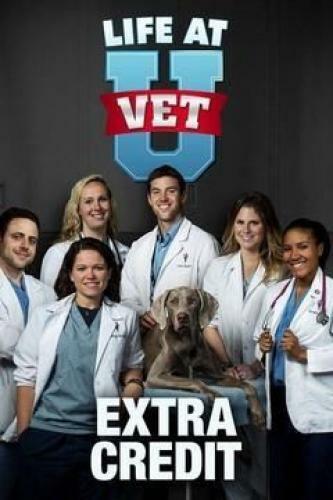 When will be Life at Vet U: Extra Credit next episode air date? Is Life at Vet U: Extra Credit renewed or cancelled? Where to countdown Life at Vet U: Extra Credit air dates? Is Life at Vet U: Extra Credit worth watching? Life at Vet U: Extra Credit is a series that airs extended enhanced episodes with extra information, deleted scenes and bonus unseen footage from the show Life at Vet U that also airs on Animal Planet. Going behind the scenes with insider facts and extended scenes; match day arrives and tensions rise throughout the hospital; the fourth-year students find out if they have been matched to an internship program. Going behind the scenes with insider facts and extended scenes; the students reach the halfway point of their spring semester rotations and get one step closer to becoming doctors, but they must still pass their final few rotations. Going behind the scenes with insider facts and extended scenes; the pressure mounts as the students begin their last month as students; responsibilities increase and the students must answer the call to step up more than ever. Going behind the scenes with insider facts and extended scenes; with graduation around the corner and intense rotations still ahead, the students must show no weakness on the road to becoming real-life veterinarians. Life at Vet U: Extra Credit next episode air date provides TVMaze for you. EpisoDate.com is your TV show guide to Countdown Life at Vet U: Extra Credit Episode Air Dates and to stay in touch with Life at Vet U: Extra Credit next episode Air Date and your others favorite TV Shows. Add the shows you like to a "Watchlist" and let the site take it from there.